Mercy Mission is a registered charitable organisation which has been serving in the field of Education, Health, Social Service, Bible Seminary and Christian ministry since 1998. The aim of Mercy Mission is to reach the unreached people of India with the Gospel of Jesus Christ through a holistic approach. Here is a summary of the ministries undertaken by this organisation. 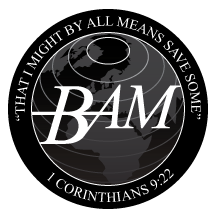 BAM has been pleased to proved some support funding for the Theological Seminary. October Mailing – Where does it go?